I don't deny, the term Microdermabrasion does sound a bit daunting at first. Is it painful? Would it thin my skin too much? Truth is, it wouldn't affect our skin layers too much if you don't do it too often - it's mainly to remove the layer of dead skill cells. Such a procedure can be quite pricey, so a home device like Philips VisaCare Microdermabrasion System is very useful and worth an investment. Indeed, Microdermabrasion does buff away the surface layer of skin. Do not worry, that surface layer is actually layers of dead skin cells, which needs to be get rid of in order to give you skin that vibrancy and glow again. A new layer of skin will be a better canvas to absorb all the nutrients and benefits of your skincare. During the repair works after Microdermabrasion, your skin will become smoother and brighter with the new set of skin formed. 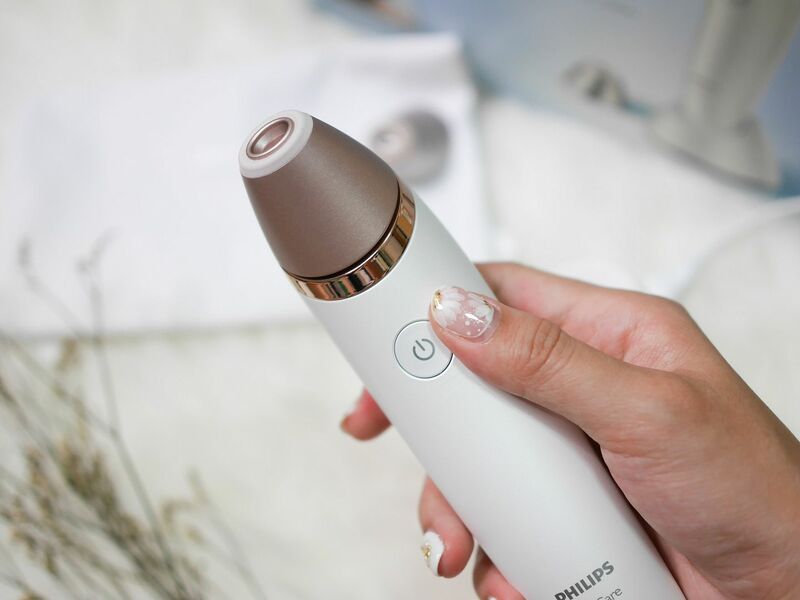 Philips VisaCare Microdermabrasion System comes with an exfoliating tip and vacuum suction. 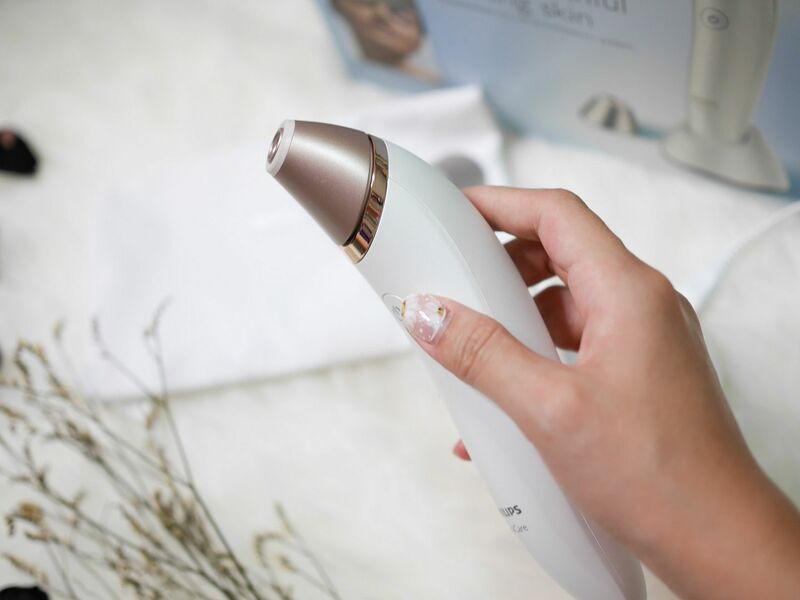 The suction will lift the skin to massage and promote microcirculation. VisaCare is designed to be in the sweetspot of stretch required to stimulate collagen and elastin production. Aside from massage, the exfoliating tip gently removes part of the stratum corneum (the upper layer of the skin) to reveal brighter smoother skin over time. 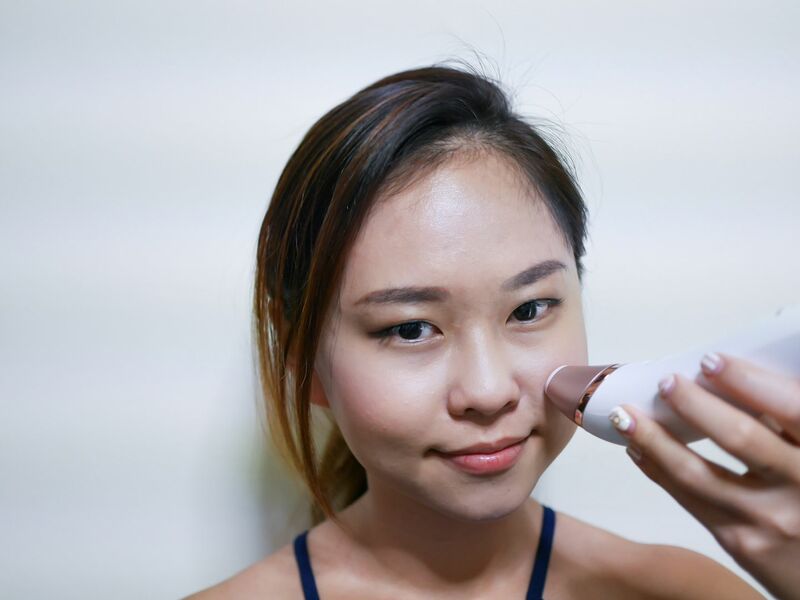 It also removes roughness and flakiness more effectively. "I have sensitive skin, can I still use this?" If you are worried about sensitive skin (like mine), don't you have to worry. 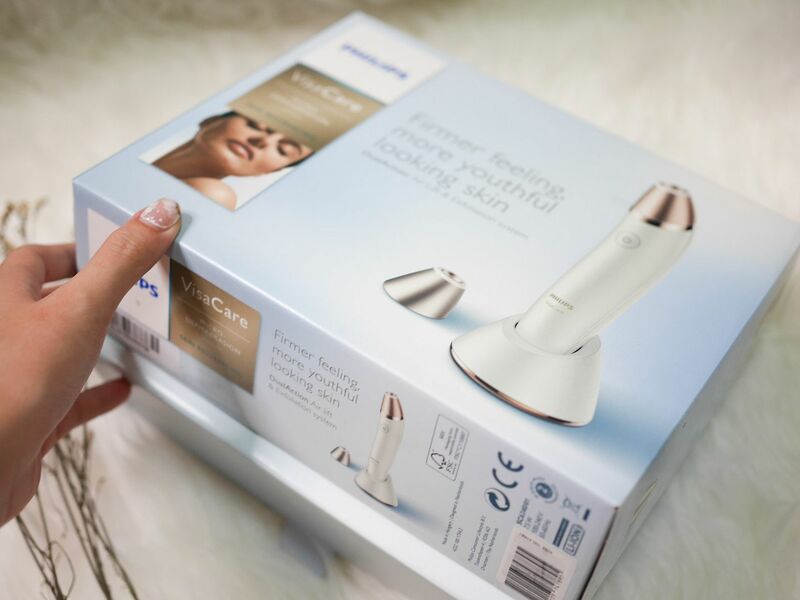 Philips VisaCare Microdermabrasion System includes two tips (sensitive and normal) addressing different levels of skin sensitivity. The suction is very bearable. It's akin to those mirodermabrasion steps during facial, so I am finding this device very value for money. I can do this at the comfort of home! "Will it take a lot of time?" Not at all! I also wouldn't recommend you to use this every day because our skin can never take it. You only need a 5 minute treatment, twice a week only. For more about the specification about this device, visit Philips VisaCare Microdermabrasion. 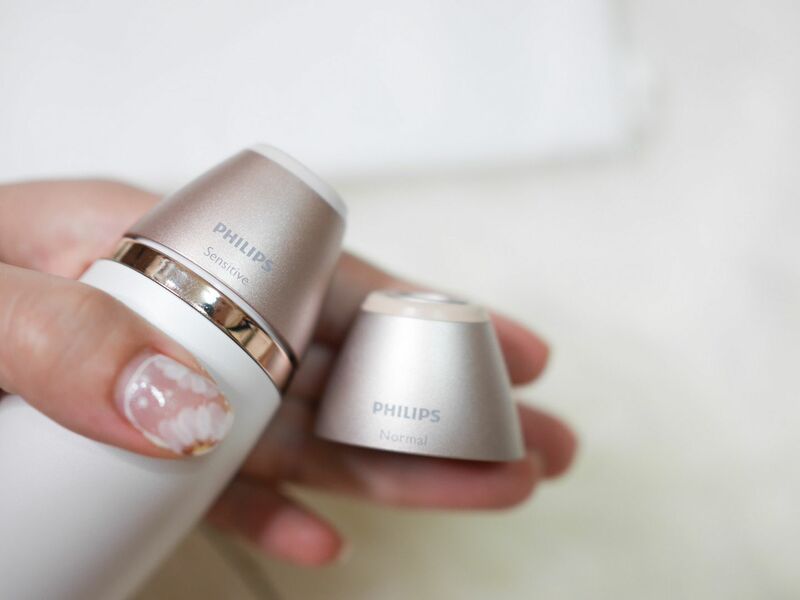 Philips VisaCare Microdermabrasion System comes with two tips, a charging stand and a device pouch.